6 Tabs - Dogs Up to 10lbs. - Brown. 6 Tabs - Dogs 11-25 lbs., Cats 1.5-6 lbs. - Green. 6 Tabs - Dogs 26-50 lbs., Cats 6.1-12 lbs. - Yellow. 6 Tabs - Dogs 51-100 lbs., Cats 12-25 lbs. - White.  A palatable once-a-month tablet that prevents heartworm disease, controls adult hookworms, and removes and controls adult roundworms and whipworm infections. Interceptor for cats is the only oral monthly preventative that protects against heartworms and removes adult roundworms and adult hookworms. Requires a prescription from your veterinarian. Interceptor Flavor Tabs eliminate the tissue stage of heartworm larvae and the adult stage of hookworm, roundworm, and whipworm infestations. The anthelmintic activity (destroying parasitic worms) of the active ingredient milbemycin oxime is believed to be a result of interfering with the invertebrates neurotransmission. Give Interceptor exactly as directed by the veterinarian. If you do not understand the directions ask the pharmacist or veterinarian to explain them to you. Heartworm testing should be performed prior to the start of prevention therapy. If the animal is off Interceptor for 6 months or less, start the medication and test after 6 months since microfilaria, that take 6 months to mature, will result in a positive test result. Store Interceptor at room temperature. Do not remove the tablet from its wrapper until ready to give the medicine. Interceptor is safe for pregnant or lactating pets at a normal dose level. Give Interceptor Flavor Tabs once a month on the same day of each month year round. 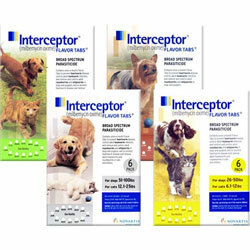 Interceptor Flavor Tabs can be given to dogs and cats. Watch pet closely following dosing to be sure the entire dose has been swallowed. If it is not completely swallowed, give one more full recommended dose as soon as possible. Interceptor eliminates the tissue stage of heartworm larvae and the adult stage of hookworm (Ancylostoma caninum), roundworms (Toxocara canis, Toxascaris leonina) and whipworm (Trichuris vulpis) infestations when administered orally according to the recommended dosage schedule. The anthelmintic activity of milbemycin oxime is believed to be a result of interference with invertebrate neurotransmission. Tip: Do not remove from its wrapper until ready to give to pet. Glad to see Interceptor back! Excellent heartworm preventative that is safe and effective. Heartland vet maintains lot and date records for prescription meds and notifies me when there are recalls. Excellent service.